I am surprised that this photo has even 15 views. 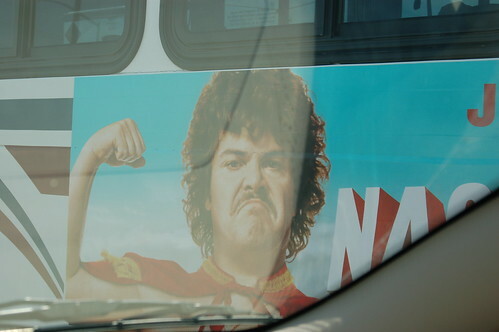 I took this photo to show how scary it was to see this face of Jack Black looking at me while I drove. The photo might be amusing, but it is not very good looking. It could have been a better photo, but I took it while at a red light.